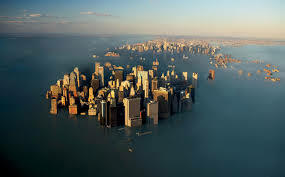 At least 10 feet of sea level rise is now guaranteed worldwide; it’s all but inevitable, a done deal. An ice sheet two miles thick has collapsed in West Antarctica. Glaciologists have been dreading this moment for decades, though in recent years, it was more of a question of when than if—and there is nothing that can stop it from melting now. Read more about it. A new study finds that even if we slow rising temperatures now, we could still be in for higher seas.